It’s hard to believe, but 2015 is over. 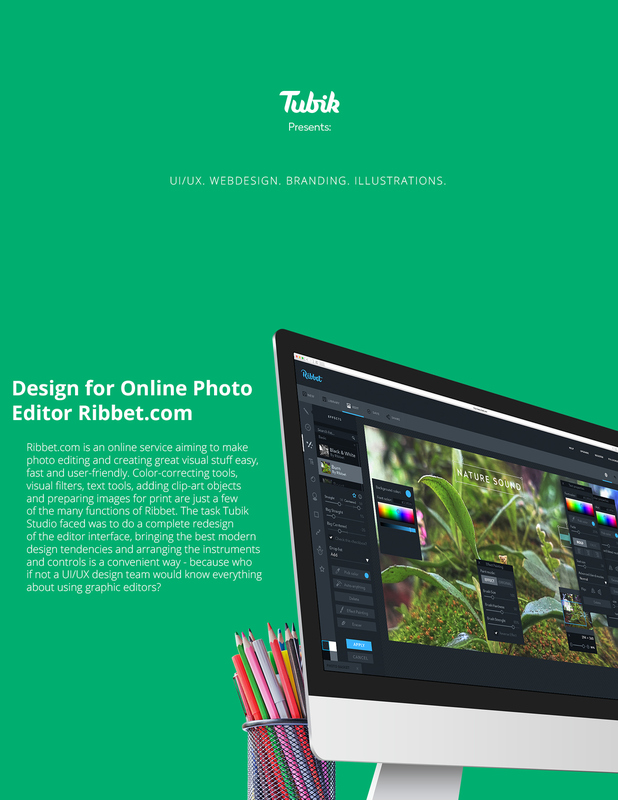 For Tubik Studio this year was dynamic, bright and rich in meetings, shots, interesting projects and non-stop professional growth. This year, being active on Dribbble, we have published around 140 shots. Here we offer you to look through the set of top positions in the categories of UI/UX design, illustration and animation. Following the links, you will be able to see all their detailed descriptions and full-size attachments. Tubik Studio designers also successfully presented their works on Behance with which the studio was featured in App Design Served. This year we got much more active to share our ideas, case studies and experience via blogging. Here are some of the most popular articles this year. To get more communication about professional issues, we have launched Tubik blogs on Medium, Tumblr, WordPress where we are happy to get connected with great number of followers. We have also started active communication on actual design issues on Quora. And certainly we are very keen to share some moments of our life and work with our over 10K followers via Instagram! One of the brightest events of this busy and bright year was Behance Potfolio Reviews which we hosted in Dnipropetrovsk. Also our works were featured in the new book «UI Graphics» from Japanese BNN Publications, one of the largest art/design publications in Japan. 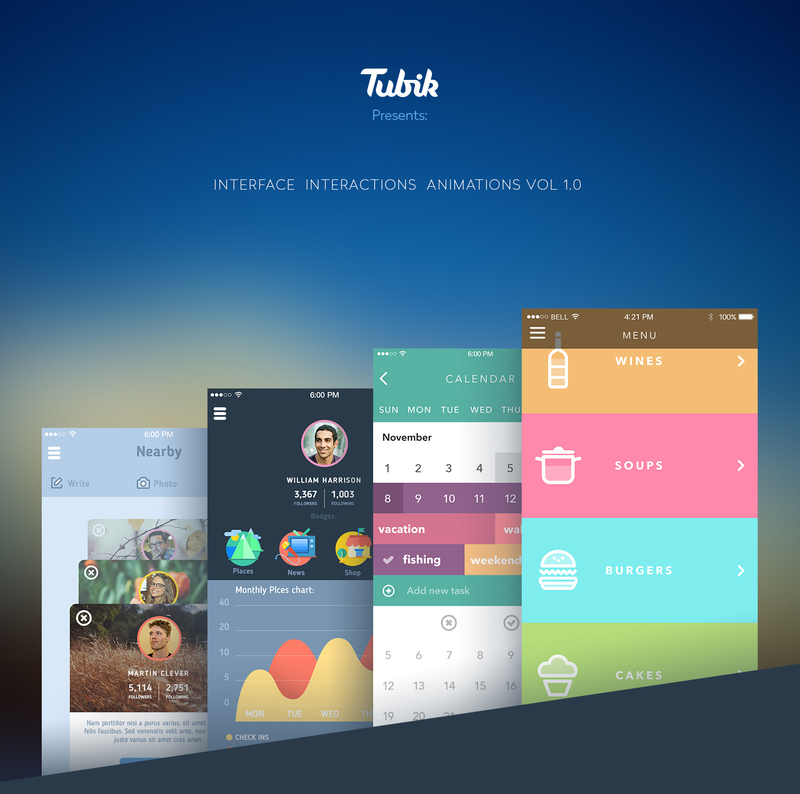 It included ten of Tubik team works in Motion Design section. That’s so amazing to see your designs praised and published in such high-quality edition! Certainly, it’s impossible to get everything that happened over this great year in one post. Now, when it’s time to open presents and meet new year we are happy to have so many things to remember about 2015. Happy holidays and warmest greetings from Tubik Studio!